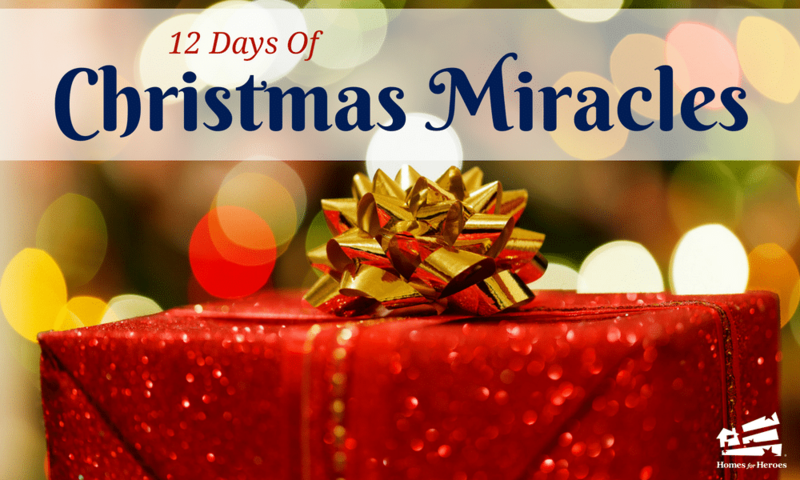 Day 11 of our 12 Days of Christmas Miracles was presented to a Marine that is a single dad of three children in Maricopa County, AZ. John is a retired Marine who currently does elevator repair. The family worked with Homes for Heroes Specialist, Becky Bunde to purchase their home after living in a trailer for six months in a friend’s backyard. He took on a dangerous job in elevator repair to provide for his children. This Marine goes above and beyond to help his community through volunteering and helps out with his son’s baseball club. He always puts his children and friends above himself. Becky wanted to honor this veteran for his service and being such a dedicated father by presenting him with a Christmas Miracle. When Becky presented John with a $500 gift from Homes for Heroes to spend on holiday gifts, John did not want any presents. He wanted to make sure his children were taken care of and to honor his deceased daughter. John’s daughter, Alexis, passed before she was even 1 month old. 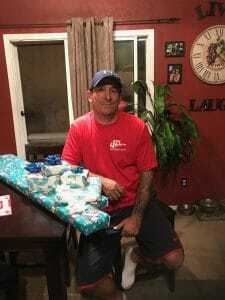 His one wish was to have a donation to AZCEND, a charitable organization that works with families in need in Arizona, be made in the memory of his late daughter Alexis Faith. A $200 donation was made to AZCEND in Alexis’ name. The remainder of the $500 was used to make the Christmas complete for John’s family. Becky is purchasing and delivering food to the family for the holiday weekend. His daughter will receive Lululemon pants. One of his sons will receive shoes, and the other son a video game. The family will also receive movie theatre and Red Robin Gift cards for a night out on the town.